Many users write to us to find out how they can save tax on capital gains that arise when their parents sell agricultural land or when they sell agricultural land which they inherited. Let’s take a look at what are the exemptions available on capital gains on the sale of agricultural land. Agricultural land in Rural Area in India is not considered a capital asset. Therefore any gains from its sale are not taxable under the head Capital Gains. For details on what defines an agricultural land in a rural area, see details of capital assets here. Do you hold agricultural land as stock-in-trade? If you are into buying and selling land regularly or in the course of your business, in such a case, any gains from its sale are taxable under the head Business & Profession. 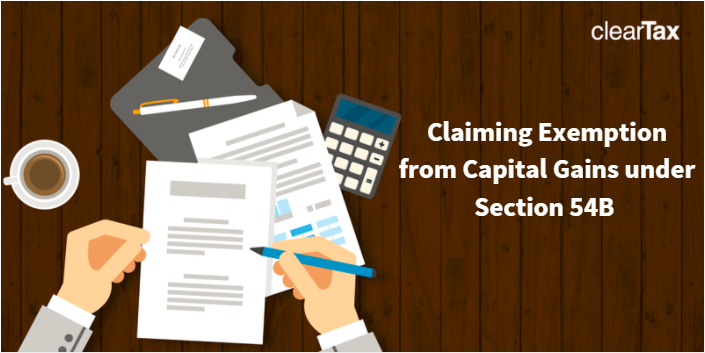 Under Section 10(37) of the Income Tax Act, Capital Gains on compensation received on compulsory acquisition of urban agricultural land is exempt from tax. If you want to know how to compute your gains – read here. If you have inherited this land, your capital gains will be calculated like this. Don’t forget to reduce these expenses from the sale price. The exemption is available to an Individual or a HUF. The land which is being sold must have been used for agricultural purposes by the individual or his parents or by the HUF for a period of 2 years immediately before the date of transfer. Another land for the agricultural purpose should be purchased within a period of 2 years from the date of transfer of this land. The new agricultural land which is purchased to claim capital gains exemption should not be sold within a period of 3 years from the date of its purchase. In case you are not able to purchase agricultural land before the date of furnishing of your Income Tax Return – the amount of capital gains must be deposited before the date of filing of return in the deposit account in any branch (except rural branch) of a public sector bank or IDBI Bank according to the Capital Gains Account Scheme, 1988. The exemption can be claimed for the amount which is deposited. If the amount which was deposited as per Capital Gains Account Scheme was not used for the purchase of agricultural land – it shall be treated as the capital gain of the year in which the period of 2 years from the date of sale of land expires. Of course, in this case, you can withdraw these amounts for any use you may want. If the cost of the new agricultural land purchased is more than the number of capital gains, entire capital gains are exempt.